With a target of young listeners (15-25 y.o. 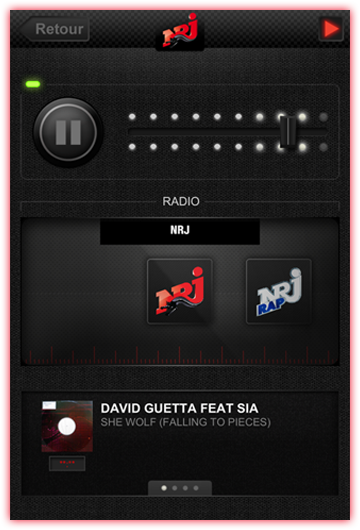 ), NRJ Belgique was looking for a mobile	app that offered more than the streaming of their FM channels. A platform to engage more users on a different media. 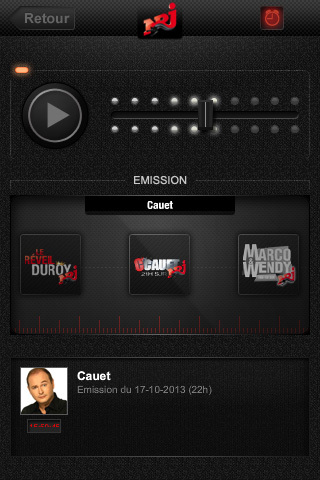 We focused our attention on the radio & podcast player to optimize the UX for a reccurent usage of the app. 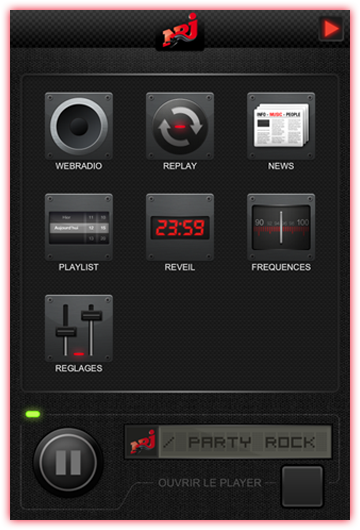 But we added a news reader, a playlist browser and an alarm clock with a slick design on top. 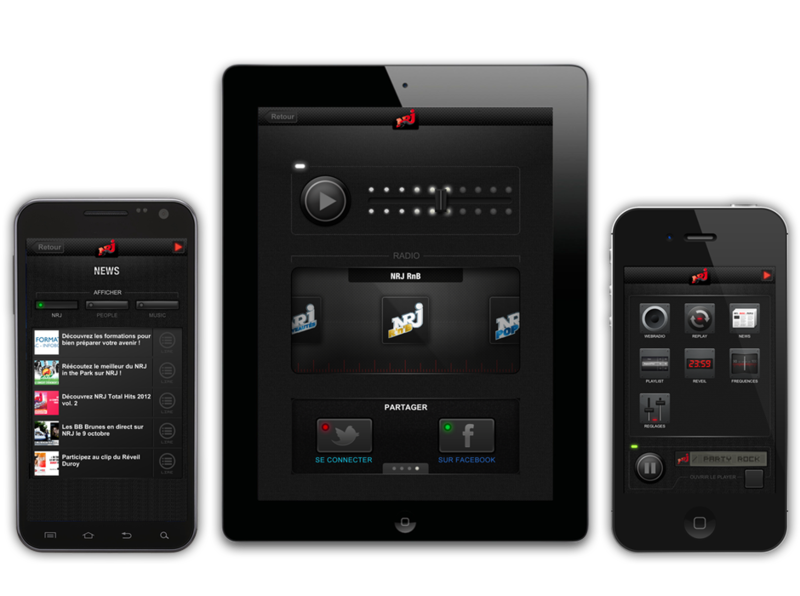 Alos, we made the app available for more than 1200 different devices (phones to tablets). The Dashboard is the first interactive screen of the app. It serves as a starting point to navigate the app and explore all functionalities. 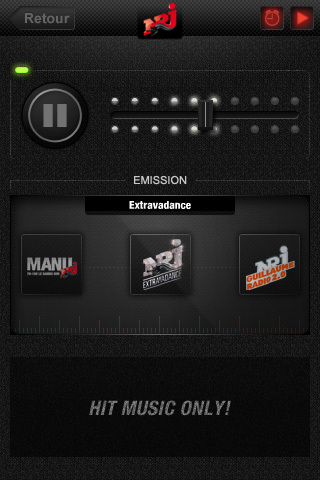 It also has a preview of the track currently playing and the selected channel. The Player offers a unique UI for browsing the channels. We designed a cool volume slider, a yummy play/pause button and a sliding information panel containings lots of content related to the currently playing track or show (for podcasts). 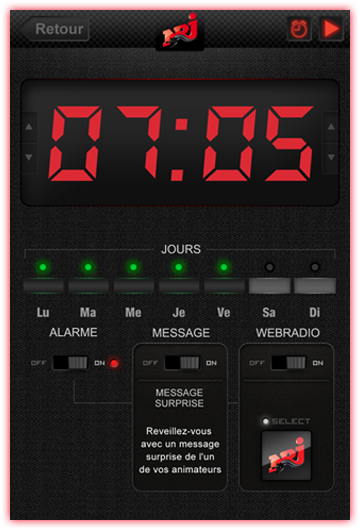 With a cool retro look, this Alarm Clock can be programmed in just a few steps. 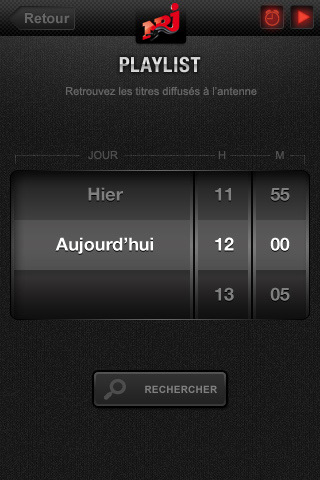 Wake-up time + days + channel and you're ready to wake up with your favourite music. No need to change your alarm sound ever again! Displays any tracks that was on air at any given time during the last 3 days. The latest news about artists, trends and fashion in a compact, readable format. Guides you through on-demand playback of any previously aired show. We added an extra dimension to this application by creating a cool way to wake up and start your day. 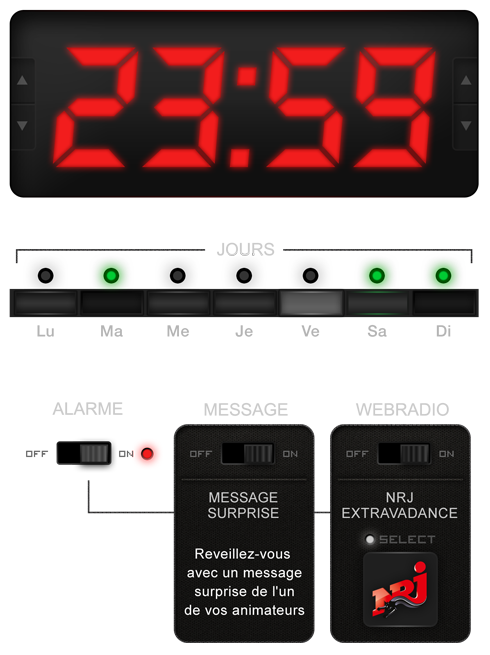 An alarm clock that streams your favourite radio instead of a buzzing, annoying sound. We made it as quick as possible to schedule your alarms, select a specific style (up to 12 different radios) and go to sleep. You can select WIFI or 3G options, get an optional surprise wake up message or even select individual days in your planning.